Hank Azaria joins the AA podcast to discuss Brockmire, voice impressions, his career, The Simpsons, impersonating Mickey Rourke and Sly Stallone to get tables, and much more. 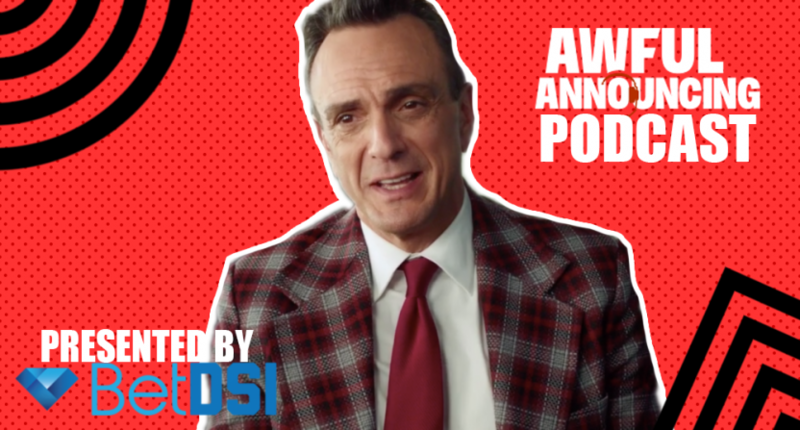 On this week’s episode of the Awful Announcing podcast, host Ben Heisler is joined by Brockmire star Hank Azaria to talk the show’s beginnings, where his voice impressions come from, his work on The Simpsons, what to expect from Season 3 of Brockmire (premiering Wednesday on IFC, with some quality sports media content this season) and much more. Here’s the rundown of what Heisler and Azaria discussed. 5:00 – Does he have any optimism for this upcoming Mets season? 8:50 – Was Brockmire created as an homage to the older, more personality driven baseball broadcaster? 16:40 – How much of the show is improvisation vs entirely by script? 23:55 – Where the voices come from; are they based off friends, celebrities etc. 25:05 – Has anyone done voices you do in front of you? 30:40 – Any other voices we aren’t aware of?